This months guest post is from Claire Martin a British travel blogger and freelance writer. She blogs about eco-travel and overland adventures on her blog Claire’s Footsteps; she has driven around the entirety of Australia and is currently planning an overland trip through Asia and Europe. 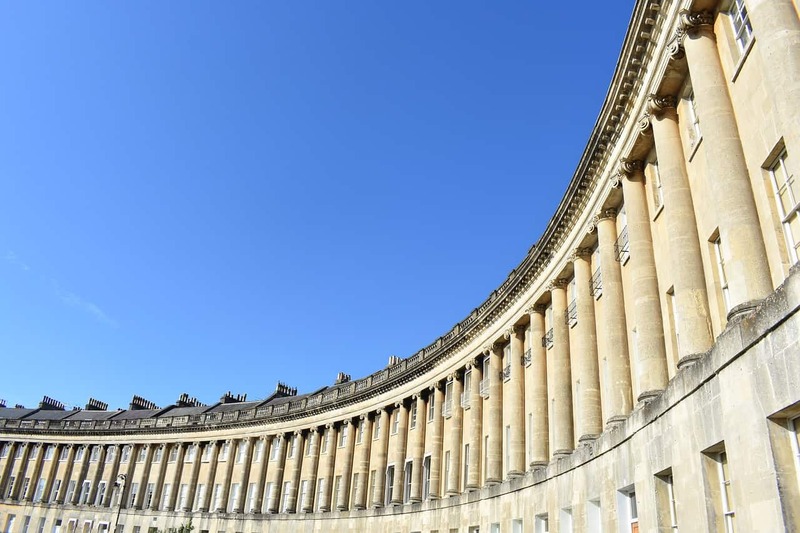 The only UK city that’s been designated a UNESCO world heritage site in its entirety, Bath is well worth a visit while exploring the country. 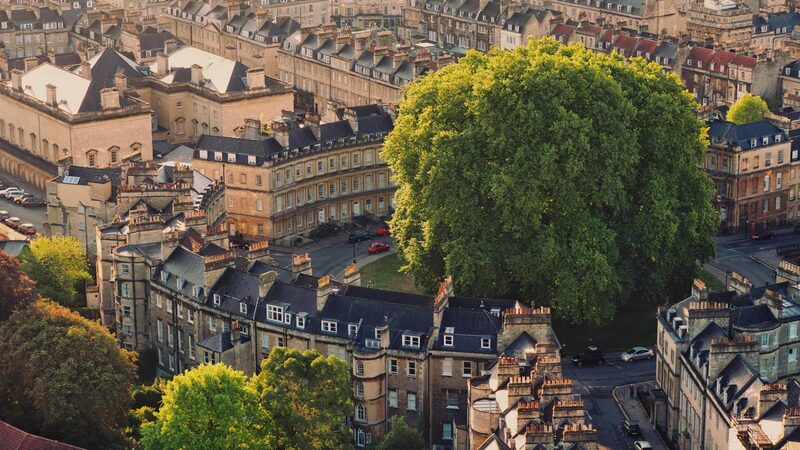 Even if you have as little as two days in Bath you will love the city and plan to come back for a visit again. Every corner of Bath has a story to tell; here you can learn about Roman history while strolling down Georgian streets and admire an Abbey restored in Tudor times before walking to the Grade 1 Heritage Listed station that was built by Brunel in Victorian times. And although much of Bath’s appeal is historic, it is also a spa town. This means it is home to not only the world-famous Bath spa but plenty of luxurious hotels that are perfect for a weekend away. Whether you live in London and simply want a weekend or 48 hours away, or if you’re a tourist enjoying a holiday in London and want to add Bath onto your itinerary, it’s really simple to travel between the two cities. One of the best things about travel in the UK is that ‘the other side of the country’ is only a 2-hour train journey. It’s very easy to get to Bath by rail from London Paddington; there are direct trains throughout the day. Fares start at around £30 and can be as much as £70 – it’s best to book these early to secure the best deals. If you’re wanting a cheaper option, National Express coaches leave London Victoria coach station for Bath daily and can cost as little as £4. Or if you’re self-driving, take the M25 to junction 15 and then drive westwards on the m4, turning off at junction 18 and following signs to Bath city centre. 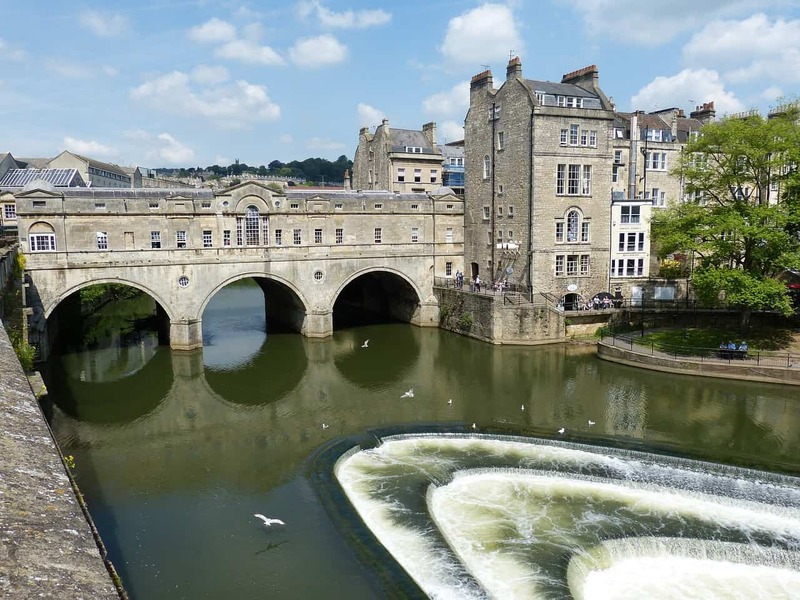 Bath is a small city, meaning that most of the accommodation options are in the city centre. Ideal for those who want to be in the city centre, but don’t want to spend a huge amount of money, The Kennard is located near to all of Bath’s main attractions, in a historic building dated from 1794. Rooms have patios, WiFi, flat screen TV and en-suite bathroom and the rate includes breakfast. Set a mere 10 minutes’ walk from Bath city centre – but seemingly world’s away in atmosphere, staying at Country Living Hotel feels like a countryside retreat. Rooms are individually styled with old-fashioned bathrooms but are kitted out with all the amenities you’ll need. There is an A La Carte breakfast, a bar and free WiFi throughout the property. Perfect for those who want the ultimate pampering weekend, the Gainsborough Bath Spa is the only hotel in the country with a spa with naturally heated water. Rooms are clean and bright, holding onto traditional décor yet with contemporary features. The hotel is attached to Bath spa and also on site is a fitness centre, bar and restaurant. Few churches in the UK are as fascinating as Bath Abbey. There has been a religious building standing on its site since Norman times and it was the place of the coronation of Edgar, the first King of England in 973 (before this time, England was a group of separately governed nations). It ended up a disused site but was rebuilt by Bishop Oliver Cromwell in Tudor times. He actually had a dream that he should be the one to restore the Abbey and set to work on it shortly after. This took a while to complete – Henry VIII’s dissolution of the monasteries got in the way of abbey refurbishments all over the country – but Queen Elizabeth I made sure it was restored during her reign. The building as it stands today was completed in 1611. 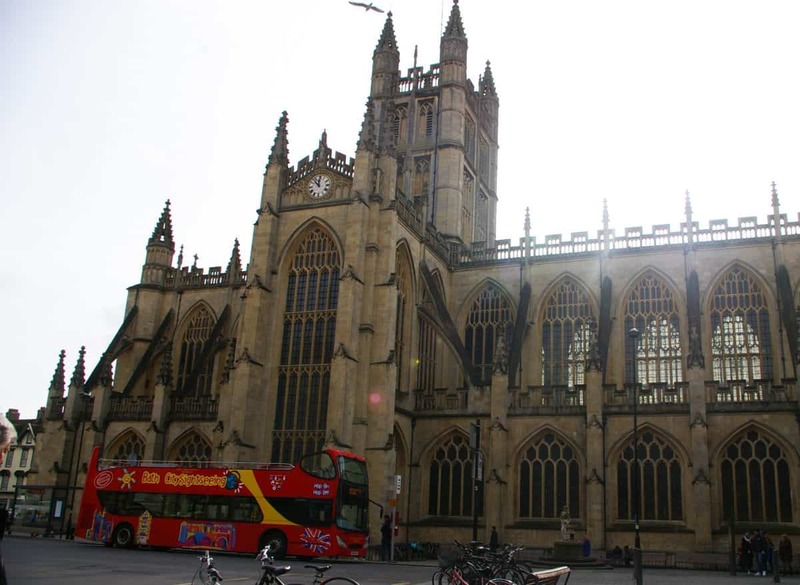 It is now technically the parish church for Bath but is still known by many as Bath Abbey. It has beautiful stained glass windows and ornate carvings; if you’re a keen photographer, you’ll have a lot to snap here! Entry to the abbey is free but donations are appreciated. Tower tours take place from the abbey, which details the history of the building. You’ll get a behind the scenes look at the workings of the abbey and be able to ascend to the top of the tower to get a great view over the city. These cost £6. 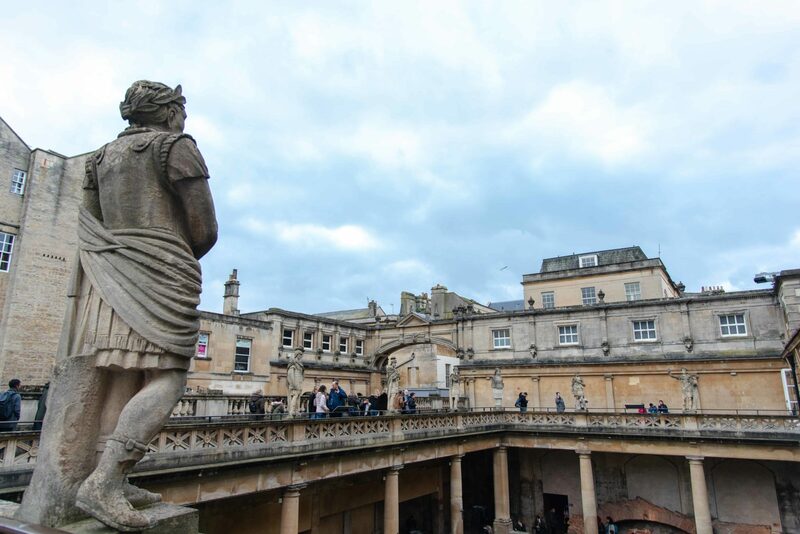 Possibly the most famous Roman centre in the country, and the attraction that gave Bath its name, the Roman Baths are a must-visit while in the city. The baths and attached museum detail the fascinating history of these early settlers, describing how they lived, worked and socialised. The baths themselves have been restored to mimic what they would have been like in the Roman days, and a lot of research has been undertaken into how these early-day spas actually worked. It costs £18-20 for an adult to enter the Roman Baths and £9.45 – 11.25 for a child, with family tickets costing between £30 and £50 (depending on the number of adults). 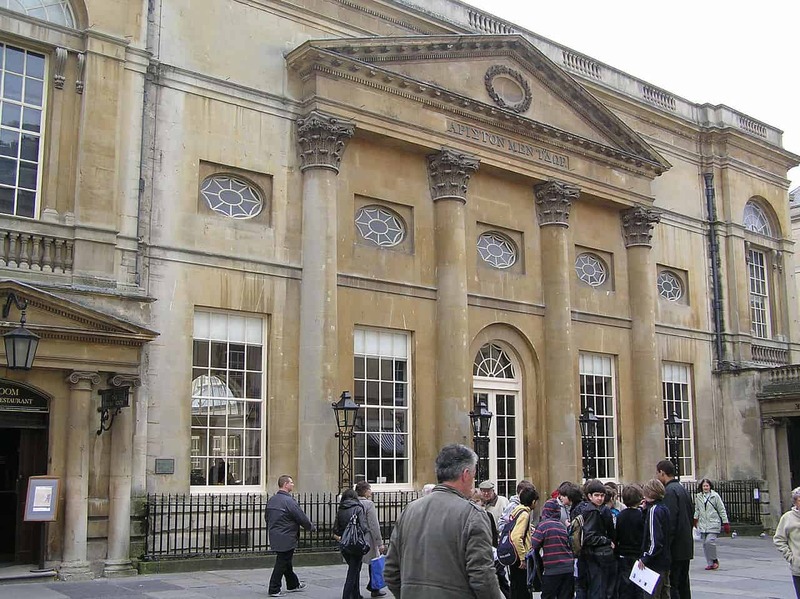 It will take around three hours of your time in Bath and is great for people of all ages. One of Bath’s lovely green spaces, Victoria Park is perfect to escape the city for a while (not that Bath is a concrete jungle, far from it, but it’s still nice to get into nature!). It was opened by Princess Victoria in 1830, who was 11 years old at the time and who turned into one of England’s most pivotal monarchs. Victoria Park is also home to Bath’s botanical gardens; walking around there is a great way to spend half an hour enjoying some nature. Close to the town end of the park is the Royal Crescent. 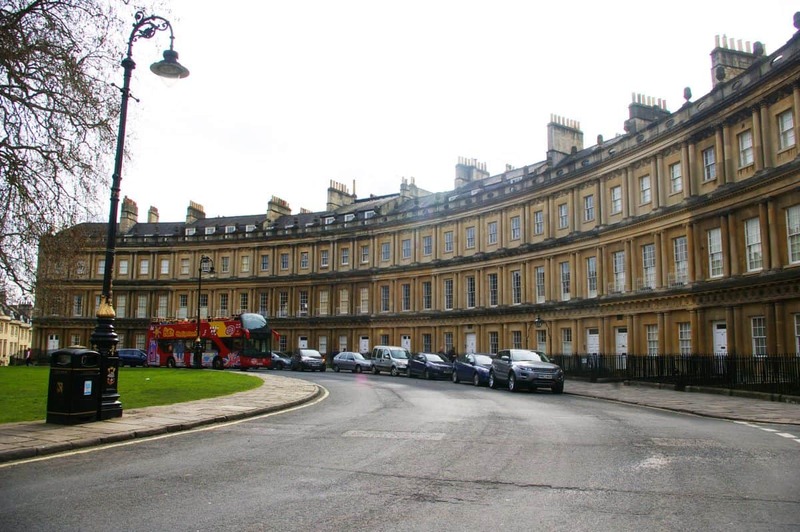 Bath has many crescents which hark back to its Georgian influences, but the Royal Crescent is possibly the most famous and impressive. It’s fundamentally a row of Georgian terraced buildings built in a crescent shape with a large grassy lawn in front, and it’s a photographer’s dream. 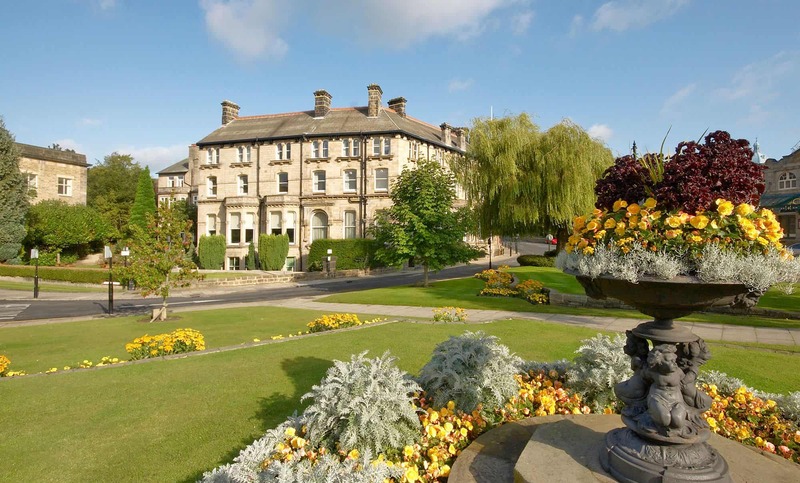 The buildings have been used as a set for many TV programmes and movies, and are now used as a hotel. There is, however, one exception. No. 1 Royal Crescent is furnished exactly how it was during Georgian times, acting as a living museum for anyone who wants to get a bit closer to this part of Bath’s history. It costs £10.60 for an adult and £5.30 for a child to enter No. 1 Royal Crescent. There is plenty of amazing architecture in Bath; if you’re staying in the city centre, you’ve only got to walk out of your front door to be graced with some beautiful Georgian buildings. One of the most famous – and definitely most unique – pieces of architecture is the Circus. This ring of houses was built by John Wood the Elder. It’s a perfect circle, and it is supposed to mirror Rome’s Colosseum. Engraved into each of the buildings are acorns, which represent Prince Bladud – who is thought to be the founder of Bath. Interestingly, when you look at a map of Bath from above, the circus, the Royal Crescent and Brock Street – which is the road connecting them – looks like a key. This is a Masonic symbol; John Wood was known for using these in his work, but this is the only instance of the symbol being visible from the sky. In a world before drones, this was no easy job! There are also plenty of other buildings to admire in Bath. 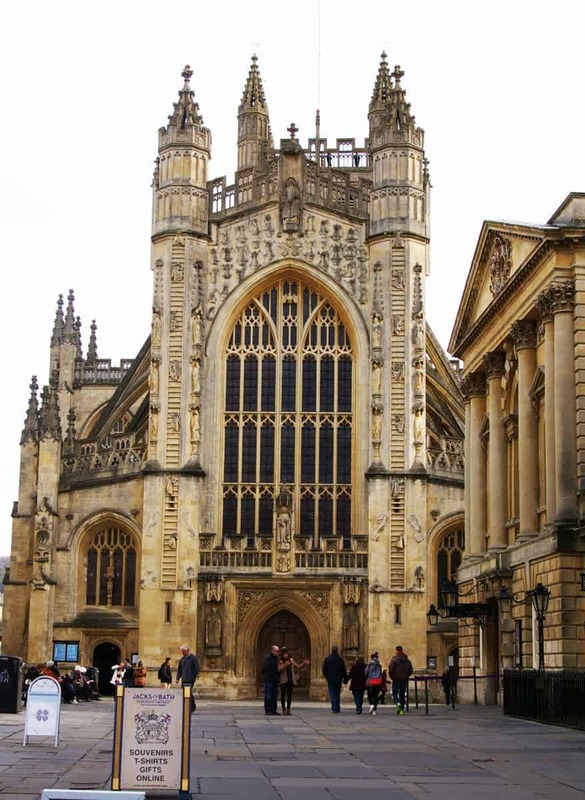 Be sure to spend some time on your first day in Bath just taking in the magnificent buildings. There are plenty of great restaurants in Bath for all types of tastes! There are, of course, all of the standard British chain restaurants (Zizzis, Nandos, Wagamama) but also many independent eateries. Yak Yeti Yak – serving Mongolian food, a cuisine that’s often not given much attention in Western culture, this highly-rated restaurant offers guests the chance to sit on the floor and enjoy their food the authentic way. (If you don’t want to do that, don’t worry, there are tables and chairs too!). OPA – this restaurant serves Greek tapas as well as various other delicious dishes, with plenty of vegetarian and vegan options. 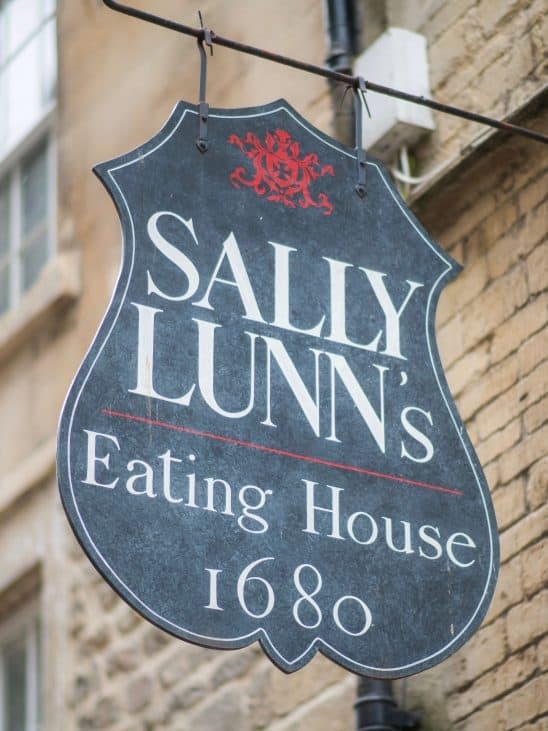 Sally Lunn’s – if you’re looking for hearty British food, this is the best place in Bath. Famed for its sticky bunns, but great for meals at all times of day, Sally Lunn’s serves up tasteful main courses and traditional puddings. You’ll have to trek up a hill for this one – but I promise it’s worth it! The West Country is one of the hilliest areas in England and the Bath skyline walk takes full advantage of this, by giving hikers the chance to look over the UNESCO World Heritage City. Be prepared to be wowed. As well as admiring the view, the skyline trail weaves through some of Bath’s surrounding farmland. It’s a great way to see the nature of Somerset while being very close to the city centre. If one of your two days in Bath is a Saturday, consider taking part in Park Run. This five-kilometre free run stretches along Bath skyline and is a great way to see the view! There are Park Runs all over the world, but this is arguably one of the more scenic ones. This Park Run, like all others, is completely free. 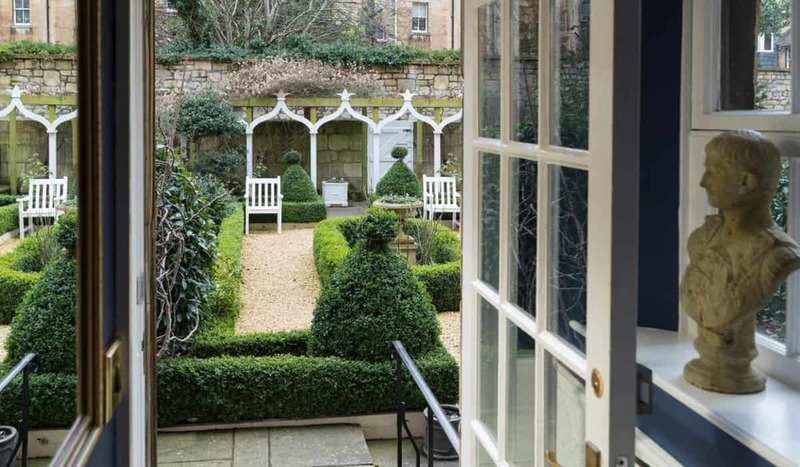 If you head back to Bath city via Sydney Gardens, you’ll have the chance to see one of Jane Austen’s haunts and a lovely picturesque area of the city. Sydney Gardens is full of plants, water features, statues and bridges and is a really pleasant side-stop. Back in town, swing by Pulteney Bridge. This photogenic bridge is one of Bath’s best places to visit; it’s one of the only bridges with shops on in the world. 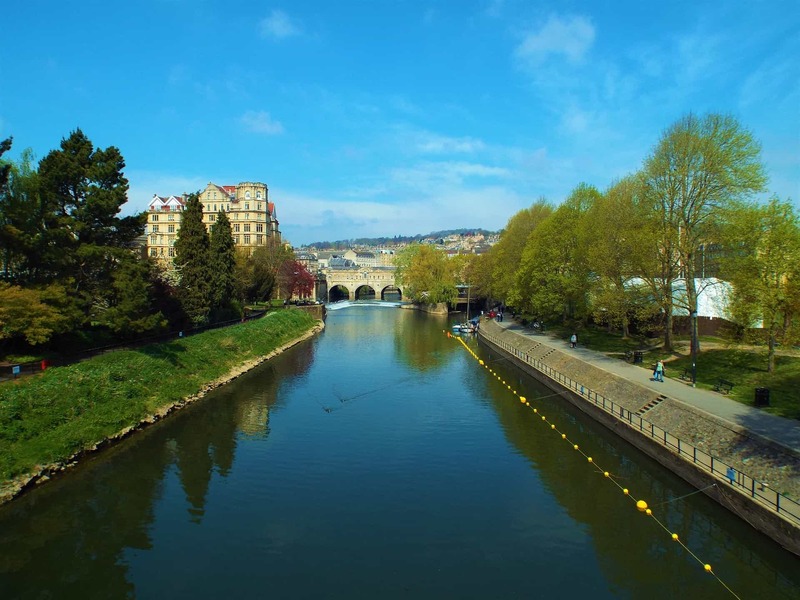 The bridge was the first step in developing Bathwick, a residential area on the other side of the river. Bath Weir is here as well; it has been on maps since 1603, so historians think it to have been built around then. It was built to prevent flooding of the city. One of Bath’s most famous residents is the novelist Jane Austen. She lived in the city from 1801 to 1806, during its Georgian heyday. The museum celebrates the novelist’s life here (although she did say on more than one occasion that she actually wasn’t too fond of Bath!) and details her achievements. It costs £12 for an adult and £6.20 for a child to enter. Another iconic Bath experience is dining in the Pump Rooms. This old-world café is decked in chandeliers, plays piano music and serves up the most delicious afternoon tea. Guests can feast on finger sandwiches and cakes to their heart’s content, and even try a Bath bunn. The Pump Rooms are attached to the Roman Baths, and there is a fountain in the corner serving spring water. Make sure you try this while in the Pump Room – it’s alleged to have healing properties! After a lot of sightseeing, heading to the spa is essential! And luckily, Bath has one of the best in the country. The spa is the only naturally heated one in the UK, and it has a thermal rooftop pool, as well as various scented saunas and a downstairs pool. There are, of course, places to get massages and other spa treatments. 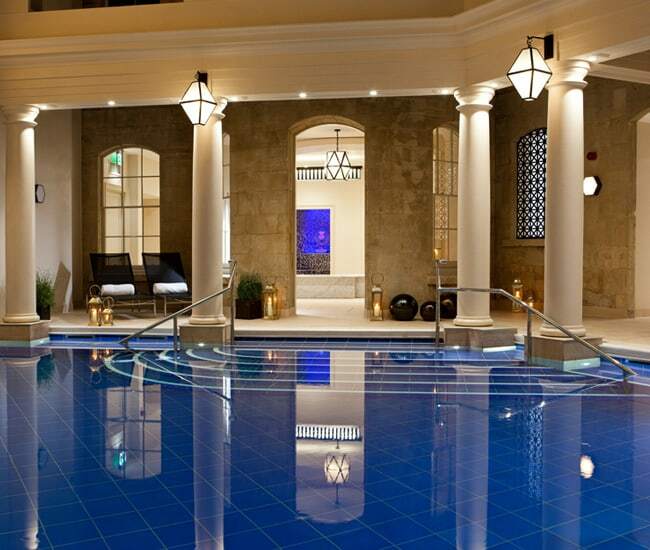 An evening at Bath Spa is the perfect way to pamper yourself. 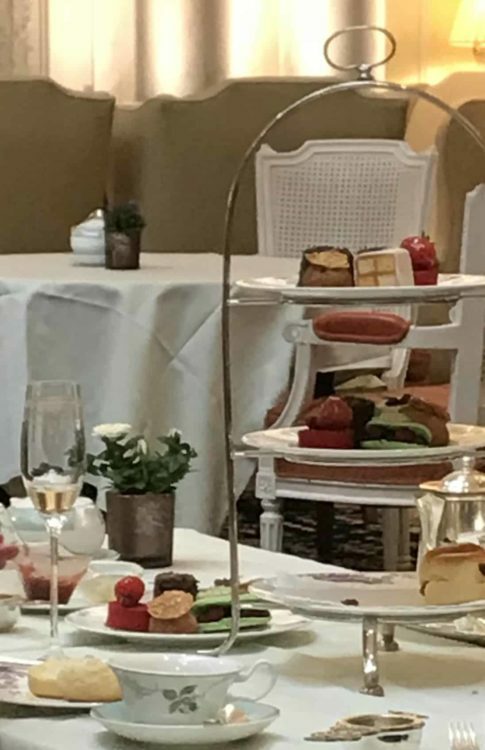 Fellow blogger Lucy spent a fabulous weekend in Bath celebrating her sister-in-law to be’s upcoming nuptials with a perfect Bath Hen Do: How to spend a weekend in Bath. 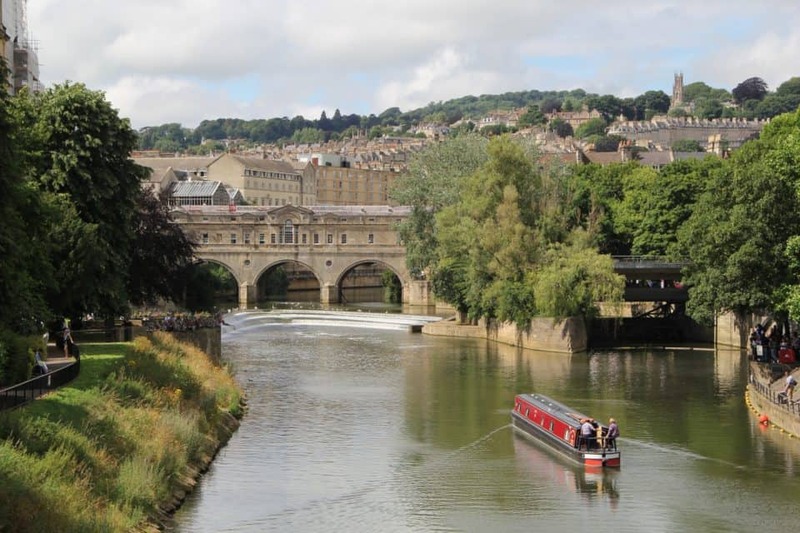 I hope these two days in Bath itinerary has helped you when planning your trip to the UK! 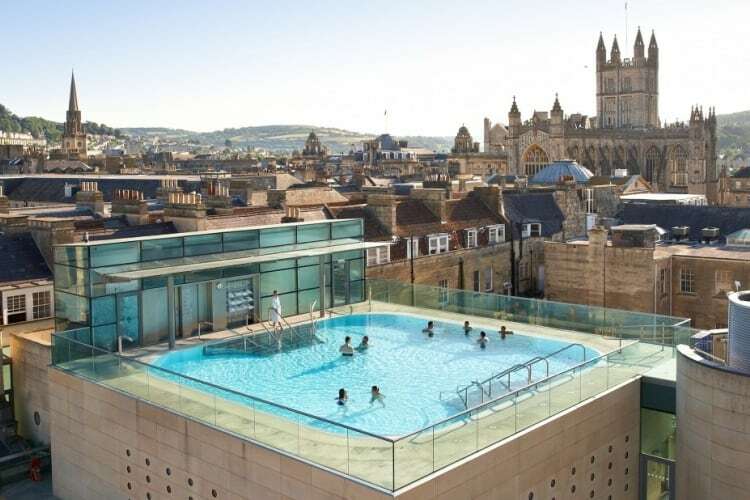 While there is still more that can be enjoyed in the city, two days in Bath is perfect for those who want to enjoy all of its historic attractions and of course, spend some time unwinding in the world-famous spa and tea rooms.